Japan 2008 Part 1 225.JPG a photo by misty.granade on Flickr. 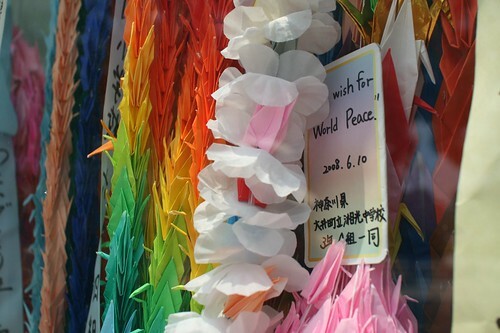 I have spent all day grieving for Japan. We visited three years ago and I fell in love with the beauty of the place and the graciousness of the people. If it is possible to be homesick for a place that you’ve never lived, then that is what I am. My heart is so sad. If you are interested in helping, please donate at the Red Cross. Thanks for that picture. I’ve been looking over a lot of my old photos, too. It’s been a hard few days, and I am glad that your all-too-short trip made that positive an impression. I hope in another few years we can all go again, with kids this time! I had such a good time on the trip and traveling with you guys. I didn’t give much, but I donated today. It felt right.